Glow in the dark vinyl (same colour as indies-only version). Exclusive alternate glow in the dark screen-printed cover. 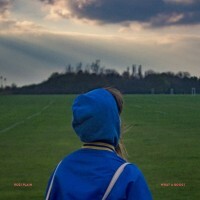 Martin says: Rozi Plain's distinctive, gentle delivery is the glue that binds this follow up to the sublime "Friends" together - it's a fuller, more coherent release than it's predecessor and no less gorgeous.